If you are stuck cooking the same meals every day and need some variety in your plate this quinoa dish will spice up your plate and palate. 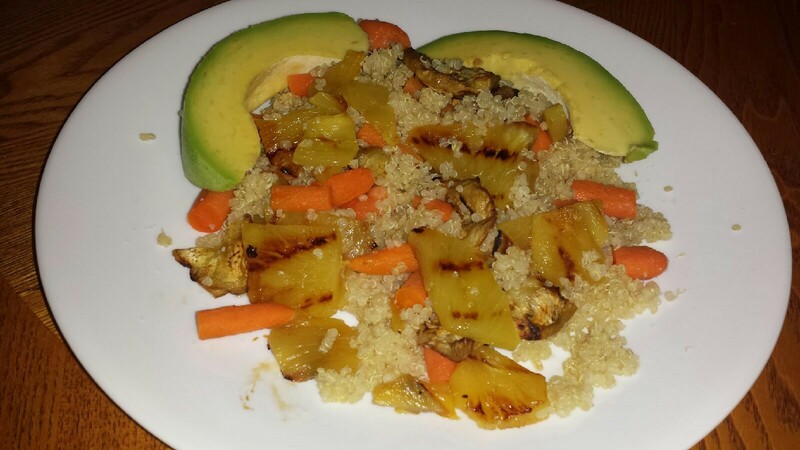 I had such a craving for grilled pineapple and was thinking how I could add it to my meal. I enjoy grilled pineapple usually during BBQs. I grill lots of veggies with pineapples in aluminum foil. With no time for BBQ… I started looking at great cookbooks and gathering ideas. I decided for the quinoa salad type of meal. 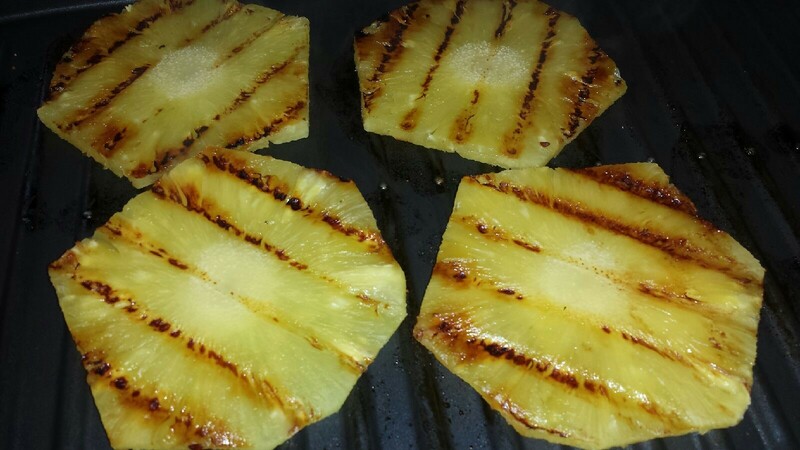 Grilling the pineapple brings out the natural juices of this delicious fruit and intensifies its flavor. As a grilled the pineapple I could notice how the natural sugar of the fruit was carmelized creating the golden brown color and the grill marks that remind me of summer and family outdoor gatherings. Pineapples contain bromelain, an enzyme that may help arthritis pain by easing inflammation. They are also a good source of vitamin C, which helps your immune system. More health benefits here. Bake the eggplant and baby carrots in the oven at 350 degrees for 30 minutes.